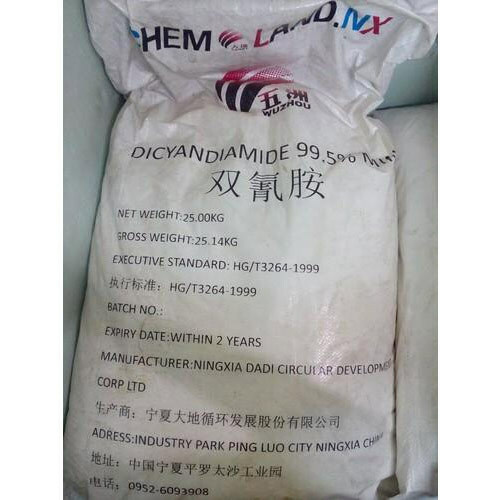 Owing to devoted experts, we have been competent to present a wide range of Dicyandiamide Powder. These products are made as per industry norms and standards. Established in the year 2009, M/S Bipin Chemicals is a renowned name indulged in wholesaling and trading a huge compilation of Benzoic Acid, Citric Acid, Bleaching Powder, Polyelectrolytes Powder, Sodium Benzoate, Sodium Hexametaphosphate, Stearic Acid and much more. Manufactured making use of supreme in class material and progressive tools and technology at our vendor’s end; these are in conformism with the guidelines defined by the market. Along with this, these are tested on a set of norms prior final delivery of the order.